Technology is not just a word which can be described very easily and not limited to particular devices. It can be considered on large scale as entities. It can be defined as in both substantial and non-substantial. Technology is developed on many different applications with physical and intellectual effort. Technology refers to many applications which are means to ease the efforts of humans and solve the real world problem. Information Technology is one of most growing technology. IT has brought the revolution in the industries because it has reduced the efforts and increased the ROI of businesses. Web technologies is an emerging technology and there has been developed millions website and mobile applications. Thousands of websites are deployed every day. 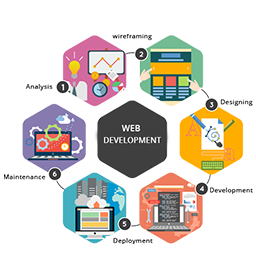 The fastest growth of the Web and Web development has been the result in a large number of innovative advances in Web technology. The Web is a layer of system upon system, an amazing array of technologies that all work combined to deliver a world of communication to the user. All the systems on the Web work together, some better than others, but while there are various systems on the Web, none of them are governed by any special rules. This system, as large and wonderful as it might be, has no specific oversight; which gives some users an unfair advantage. Day by day web technologies are growing for the betterment of services. There are many open source development platforms and frameworks are available for the web development with different functionalities which makes them unique than others. Although there are also business owner who still like to have website on core PHP. As we can experience that many mobile operating systems are available in the international market. Most used mobile devices are of Android and iOS. So if you want to target more people then your target audience should be out these two. Our software teams are bound by a single factor: dedication and loyalty that enables us to manage our resources effectively & efficiently. We believe in team work where every team member is accountable for his deeds. There are so many technologies available but only some of them are popular and compatible according to your requirements. We work on those major technologies.We develop SEO optimized websites and mobile apps with the best UI & UX experience. Open source software is the most popular for the feature of free to use, distribute, and modify. Development in open source does not put burden on your bank account. It costs only fraction of amount. 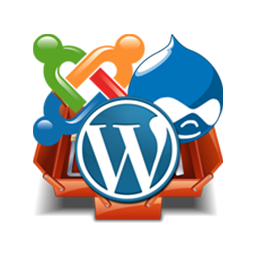 There are many open source content management systems available to develop websites. 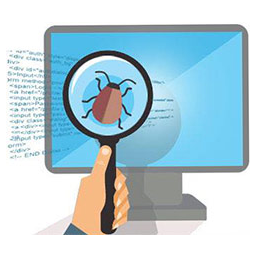 We have teams of expertise for the different open source development platforms. 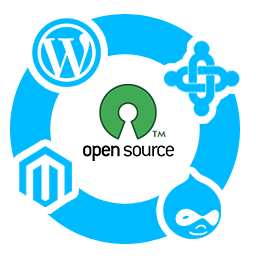 We have successfully developed and designed hundreds of websites in different open source platforms. PHP frameworks have been the best choice for the many developers and business owners as well. There are many business owners who like to have MVC framework experience to improve the user experience. To work on PHP frameworks, it requires great skill sets for web development. 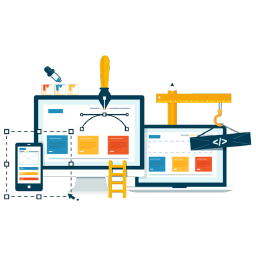 A framework assists the developer to develop a great website in time and with better functionality. We at W3care have experienced teams of respective frameworks for your desired projects. 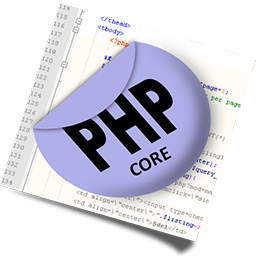 PHP is a scripting language which is most widely used for the website development in conjunction with HTML. Durability and efficiency are the core features of the PHP that enhance the interest of developers and designers to create a unique website. All major applications are developed in Core PHP like B2C, B2B and Ecommerce. PHP is constantly evolving and best for developing dynamic websites. PHP has the largest community of developers which will never get you stuck with the code. Mobile devices are most used devices all over the world so if you are not targeting the mobile users then you are leaving customers behind and money on the table. You proposed clients/customers like to use/access every required service online through mobiles. There are maximum numbers of users of Android and iOS mobiles. It is very important to select platform wisely which should lead to business improvement. 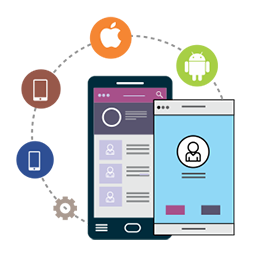 We have an experienced team of mobile app developers for dedicated projects. SEO is not just a word or a single activity. 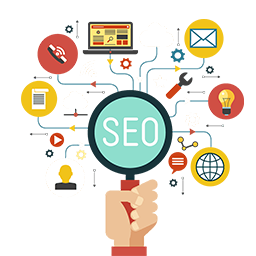 SEO stands for search engine optimization that directly refers that your website should be optimized for the search engines. A website should be optimized in such way that it appears in search engine results for particular query. There are many factors in the website which affects the performance of website on the WWW and especially on search engines. We have expertise team of digital marketing which helps to provide SEO optimized websites. Addons and plugins play crucial role for the betterment of any websites. 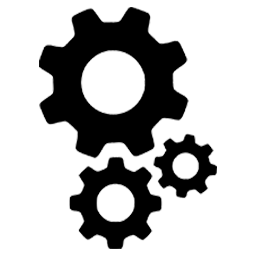 Sometime you need to extend your website functionality that time you need addons or plugins which ease your job. We have a team of experienced developers who can develop addon/extension & plugin for your desired website for major development platforms. Website design is very important from every corner of view because whenever user arrives at our website that first thing is design of your website which appears in front of his/her eyes. UI & UX design should be perfect so that your visitor does not go back from your site. We are renowned for providing best UI and UX design to our clients. Website is essential need for growing business online. Website represents your business globally and brings customers/clients from worldwide countries. It is very important to analyze the requirement and select the best technologies for website development. Our experienced team assists you in every step from requirement gathering to web development. Get a website developed for your business is not enough for the life time. It is important to stay out of the problems to keep growing your business and technology never stops growing. 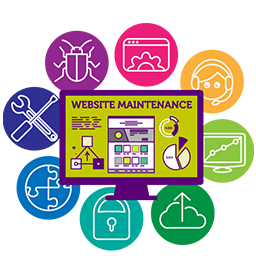 We have dedicated team to support and maintain your website as soon as possible for that your need to subscribe our plan. We are available through email, phone, and Skype.